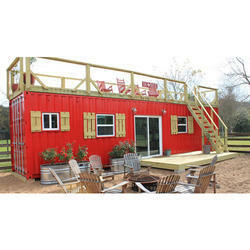 We are offering Portable Farm House to our client. Green Bricks is the pioneer in sale of open plots, luxury plots and farm house plots in breath-taking locations. All the plots come with individual boundary, electric, water supply and internal tar roads along with solar street lights. Our Farm house is surrounded by 65 acres of lush green land with picturesque surroundings and a huge fishing lake secluded but not isolated. It’s located at Vangni village, in district Ambernath, Maharashtra, India. Currently, farm house construction is in nascent stage. we wants enquiries of Thane as we deal in Thane.